Every New Year seems to bring record setting temperatures with it. We’ve seen areas all over the world regularly reaching triple digits during their hottest seasons. This has led to an increase in the demand for central air conditioning systems. These are the air conditioners that can be hooked directly into a building—introducing cooler air to every room via corresponding duct work. Many people are also realizing that their older central air units aren’t able to keep up. The cost of running an older appliance almost constantly throughout the summer can double or triple one’s electric bill. Newer and more energy efficient models have made temperature control affordable and more environmentally friendly than ever. Replacing or putting in a new central air system still isn’t cheap—but the comfort is worth the cost. Temperatures that are too high can cause serious health concerns for some residents as well. The very old and the very young are susceptible to heat stroke, and the higher the temperature the higher the risk for them. Many professionals recommend an evaluation to determine the level of energy efficiency within the home.There are many different things that can contribute to unwanted heat exchange. Windows that are out of date are often the culprits. Gaps, poor window seals, outdated glass,and damaged windows can all cause your cool air to flow out almost as soon as it comes in. This keeps the temperature within the home consistently higher, and the air conditioner can’t keep up. The thermostat is the censor that’s usually located in an interior room that “talks” to the air conditioner. 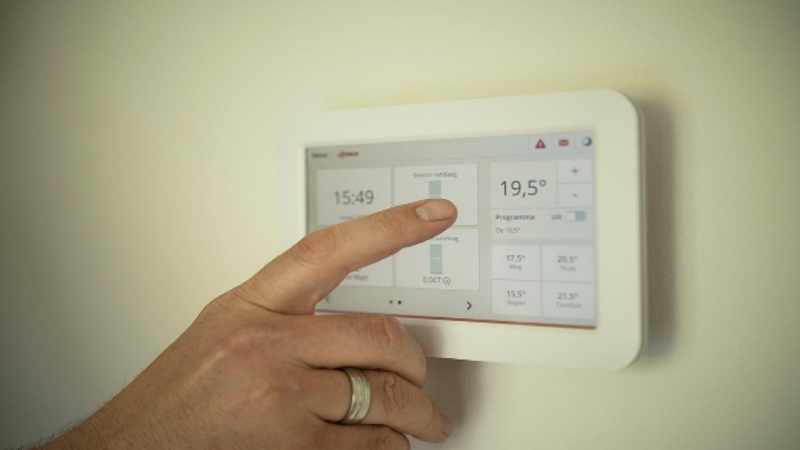 When a person sets a temperature, the thermostat reads that room’s temperature, and signals the unit to turn on any time that the temperature rises above the specified number. If the cool air is constantly being replaced by warmer air—then the appliance will run constantly and impact the utility bill. Ask about ways to improve your home’s energy efficiency when you contact a professional about AC installation in Houston.They can perform a fairly simple equation that will let you know the size and type of unit that you’ll need. Once you’ve chosen the best air conditioner for your home, you’ll need to plan for installation. Most homes already have the duct work for central air installed. This makes the installation process much easier than it is when the duct work must be put in first. The consultation is one of the most important steps in preparing for your new air conditioner. A trained technician will have to see whether or not the duct work is compatible with the new unit, and what changes will have to be made. Installing all new duct work requires the help of more technicians and nearly doubles the installation time and price. This is rare, as most units can also work with heating duct work. There are different types of air conditioning units that are appropriate for different sizes and efficiency levels of homes. The split system is the one that most of us are familiar with, with the large square condenser placed outside in a spot where noise won’t be an issue. This cools the air, and uses a separate fan and blower to push it through existing ducts. There are other models that may be appropriate for smaller homes or ones that need a fully contained unit. The entire process usually takes two technicians 2-3 days to properly install. Issues with duct work can double the time and manpower. Regardless of the system, central air is a definite investment in your home—raising its value and creating a more comfortable living space.